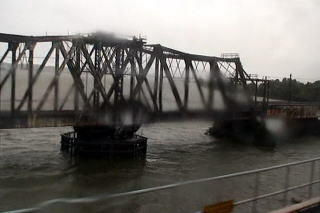 and Orange Line are crossing. 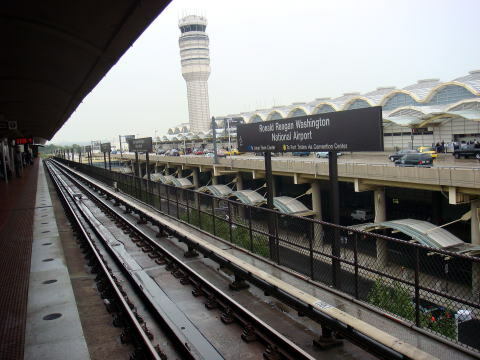 (L) Ronald Regan Washington National Airport station is connected with the airport facilities. 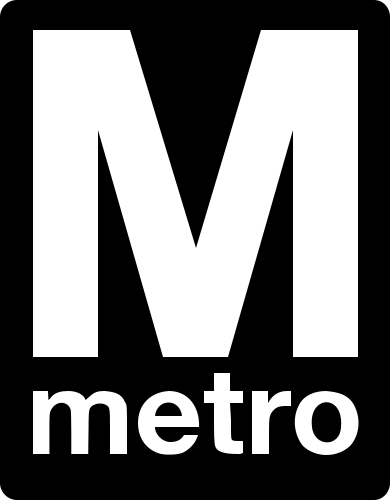 a station manager's permission, except during periods of heightened terror alerts. 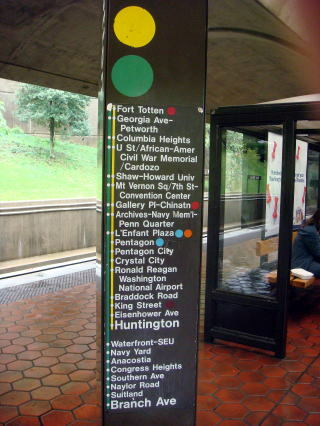 to know that you are at the right place. 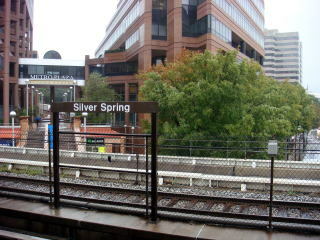 (L) Sliver Spring is an urbanized area is a major business district that lies at the north of Washinton, DC. 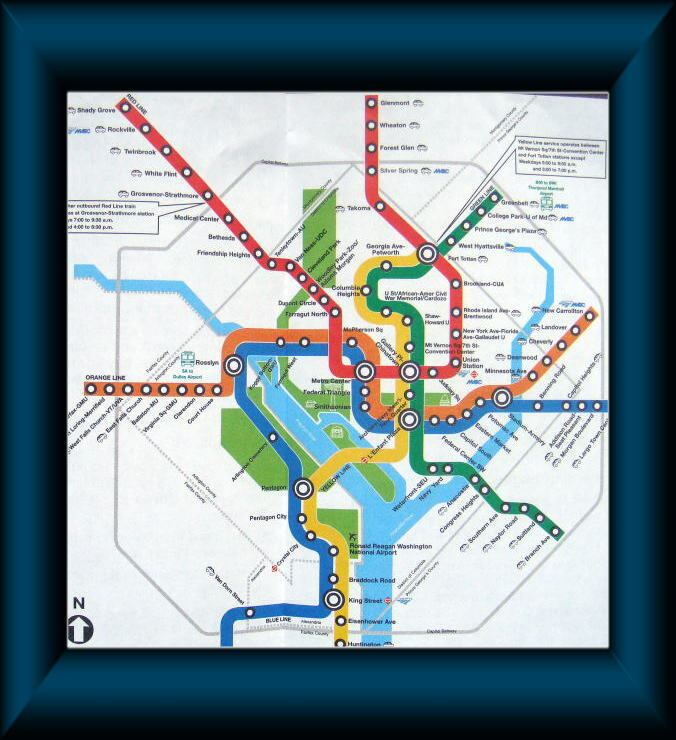 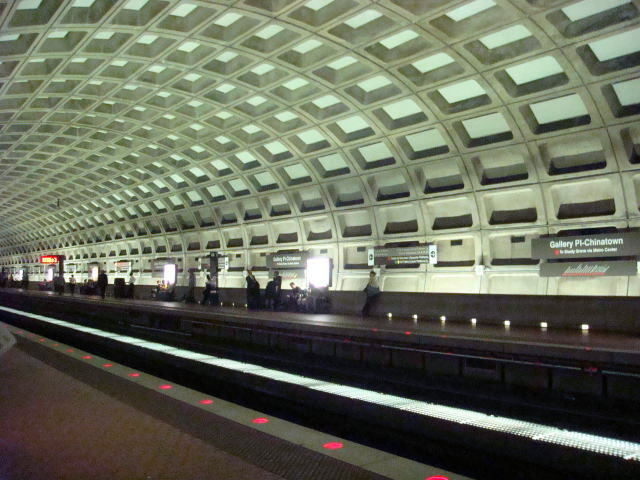 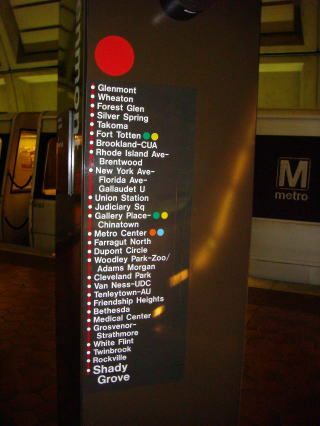 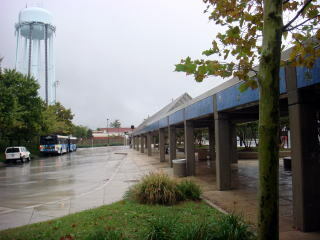 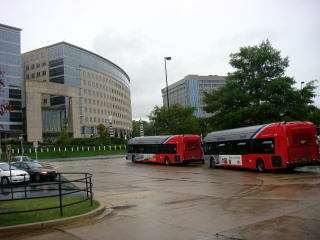 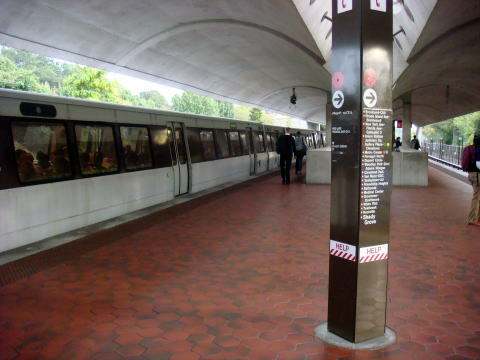 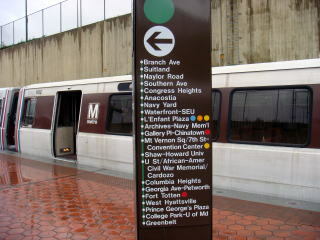 (M) Many Metrobus routes serve the Glenmont Metro station, the north terminus of Red Line, which is in Maryland. 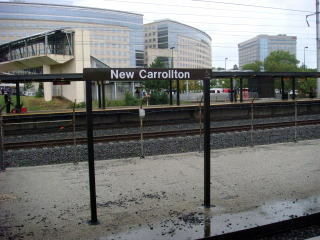 (R) New Carrolton is a suburban residential community, located just inside the Capital Beltway. 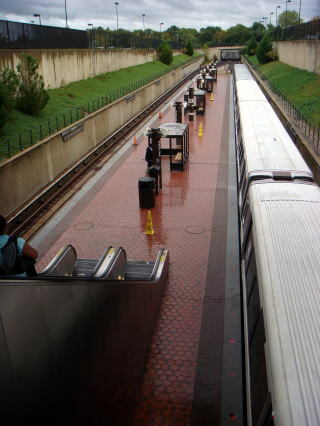 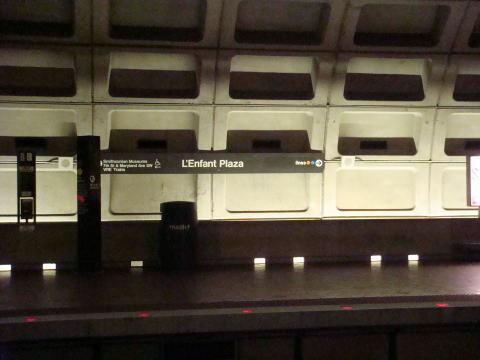 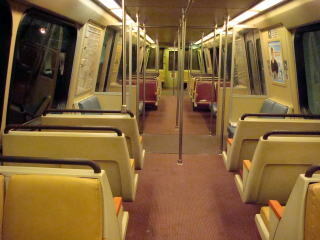 (R) An escalator of Glenmont Metrostation, in Maryland, is the northeastern terminus of the Red Line. 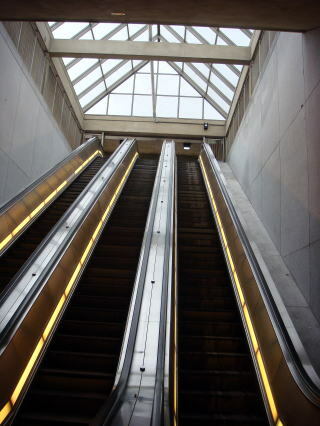 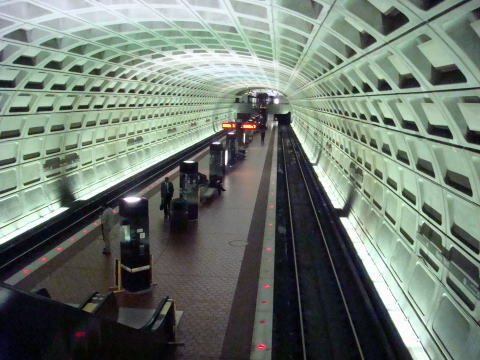 Metro rail service is now improving its 588 escalators, and we can see that many of them are not functioning. 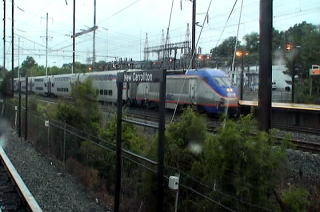 with the Amtrak station on the Northeeast Corridor. 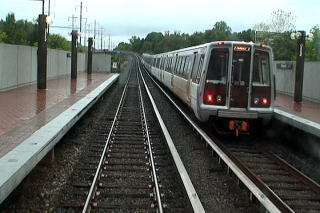 (L) A Metrocar is crossing the Potomac River during the heavy rain. 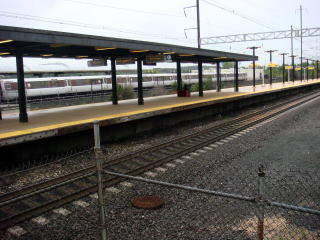 The bridge next is for the Amtrak train. 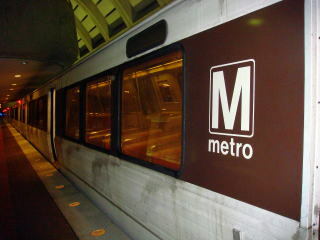 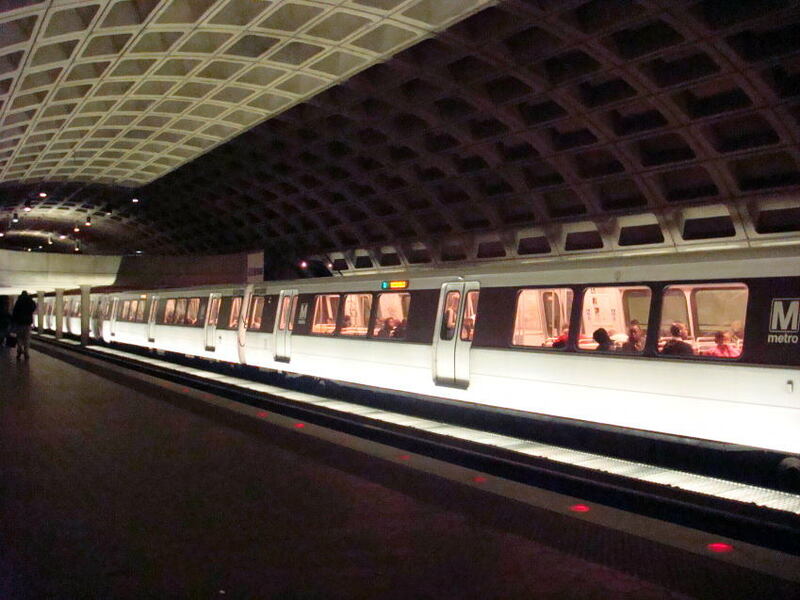 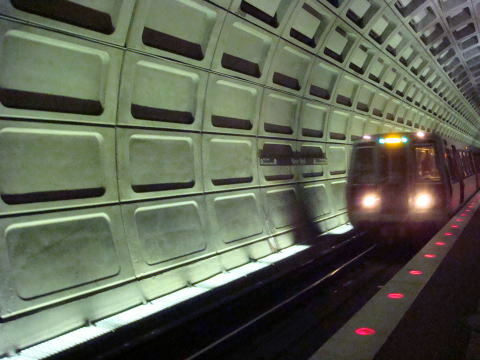 (M) Metro train is arriving at the Landover station. 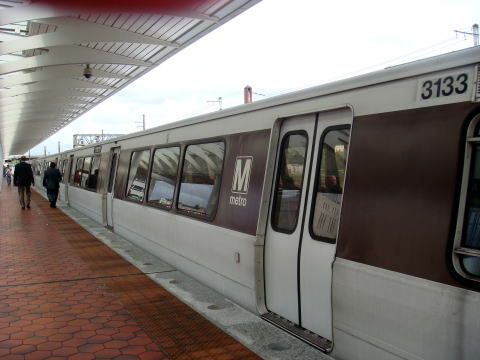 (R) Double-deck Amtrak train runs along the Orange Line of the Metro rail system. 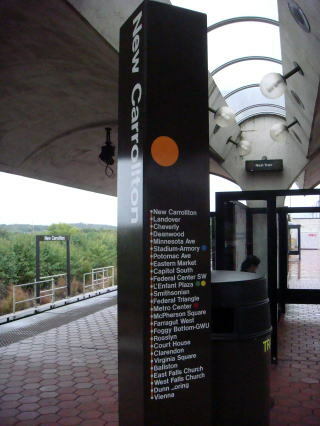 Video-photography was taken at the New Carrolton station. 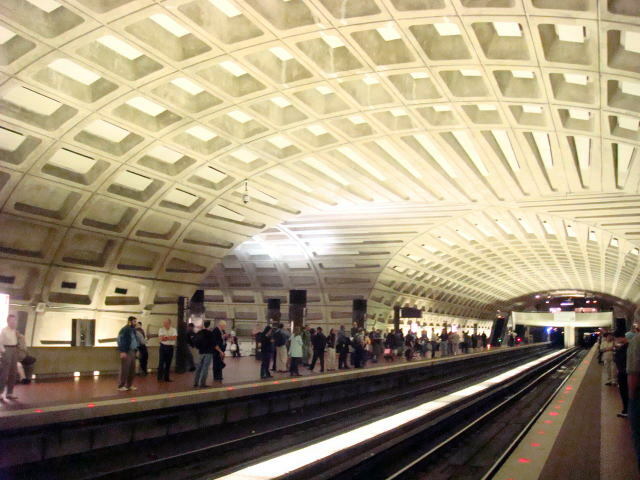 Transit Authority ) has been criticized for disregarding safety warnings and advice from experts. 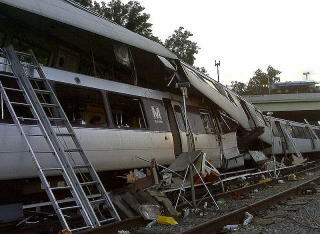 but 20 people were injured. 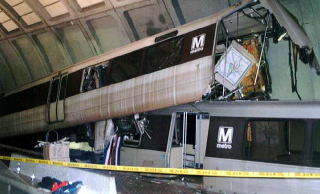 (R) On June 22, 2009 at 5:02 p.m., two trains on the Red Line collided. 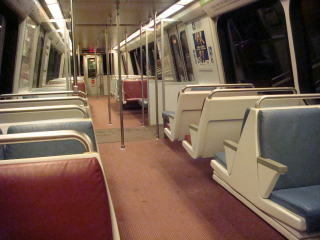 Nine people were killed. 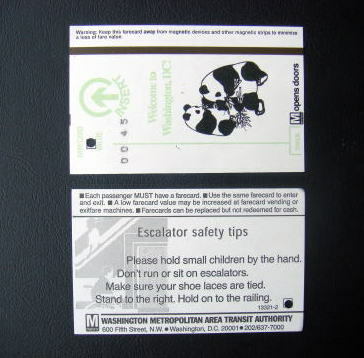 stripe fare card or a proximity card known as SmarTrip. 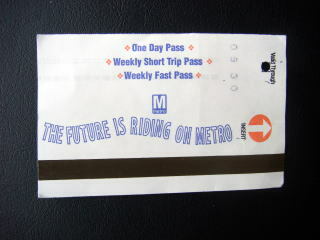 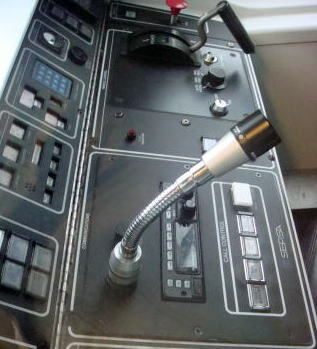 the day following first day of use. 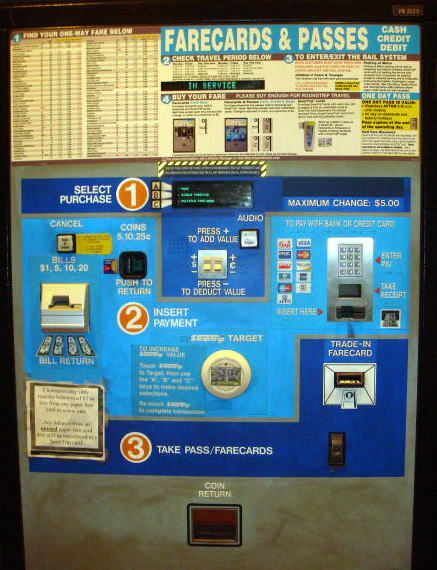 Fare cards are purchased primarily at vending machines in each station. 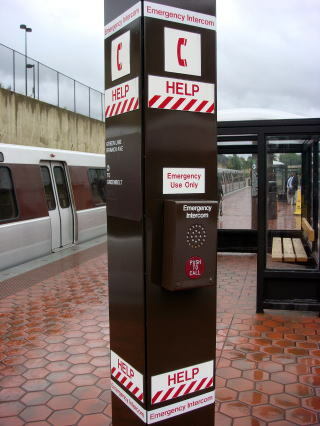 A minimum fee is $1.60. 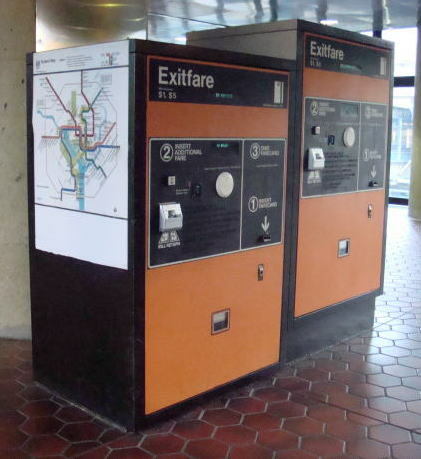 needed to exit, leaving the card at a zero balance, the card is not returned by the exit gate.